Now supports iPhone 6 & iPhone 6 Plus! Arcs is a spin on the classic sliding tile puzzle game! 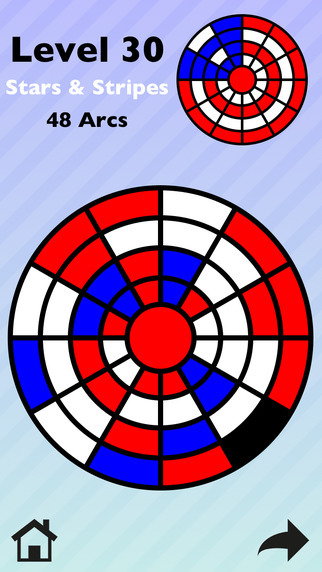 Use your brain power to solve 100 circular puzzles by rotating circles and sliding arcs. The puzzles begin with simple designs and grow more complex as the levels progress. 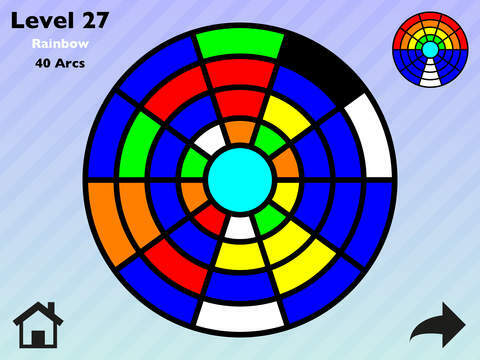 Arcs is a highly rated puzzle game that is challenging and fun for all ages! "The game truly meets it’s goal of becoming a quick and yet immersive puzzle game. Overall Pomegranate Apps really impressed us by their adaption of the tile game as well as the precision and yet simplicity of the game."